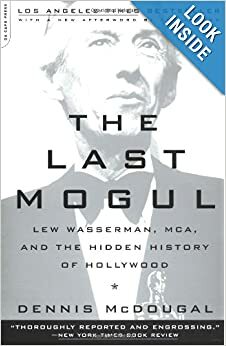 This book contains 2 full length biographies (Jules Stein and Lew Wasserman), a corporate history (MCA), and a host of minor biographies. The research done is heroic: 200+ bibliography of books alone, plus movies, court hearings, magazine articles, and some 350 interviews. There simply is too much information for any author to deal with in a graceful and insightful manner- This is almost more of a reference book. It is awesome and super well informed, but far too ambitious even for a 532 page book.-it should have been a non-fiction trilogy instead.